Crew Skill: Starfighter Piloting 4D, Starship Gunnery 4D. Cost: 50,000 System Lord credits. Location: Under the wings, facing forward. 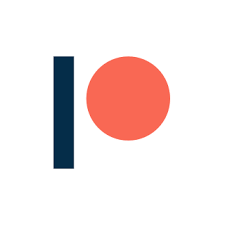 Rate of Fire: A pair of energy pulses per attack. The speed attributes are not matched up, on purpose. The Atmosphere Speed is what was listed by the canon material I could find, while the Space Speed is meant to show how they stand against other craft in space, where these will probably encountered more often anyways. If players and GMs disagree, please change them around as you see fit. 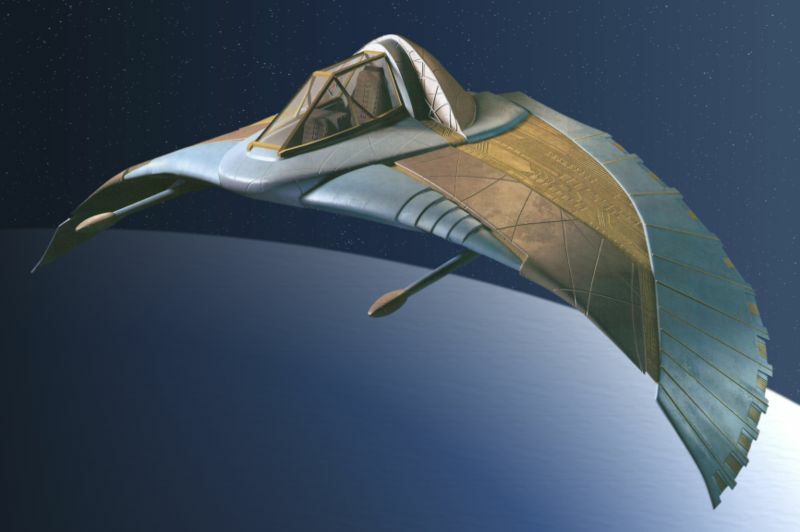 The Death Glider was the main fighter for the Goa'uld System Lords and their empire before it fell, and is later still the main attack craft of the Free Jaffa Nation, as they have them readily available and may not be able to create something new due to lacking the necessary skills and knowledge. Also, the info I found on the death glider says it has a length of 20 meters, width of 52 meters and a height/depth of 4.37 meters. The last one sounds ok, but the first two sound too large. The measurements I have are a "best guess", but feel free to change these as players and GMs see fit for their games. -Engine Unit(s): Death Glider propulsion systems. The Death Glider is the primary fighter spacecraft used by the Goa'uld. They are capable of both atmospheric and space combat. They are primarily armed with two staff cannons and piloted by two Jaffa. 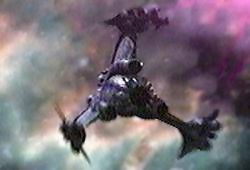 Death gliders were often used by the Goa'uld when fighting a battle and expecting medium or heavy resistence on planets, such as where Tau'ri have been spotted. 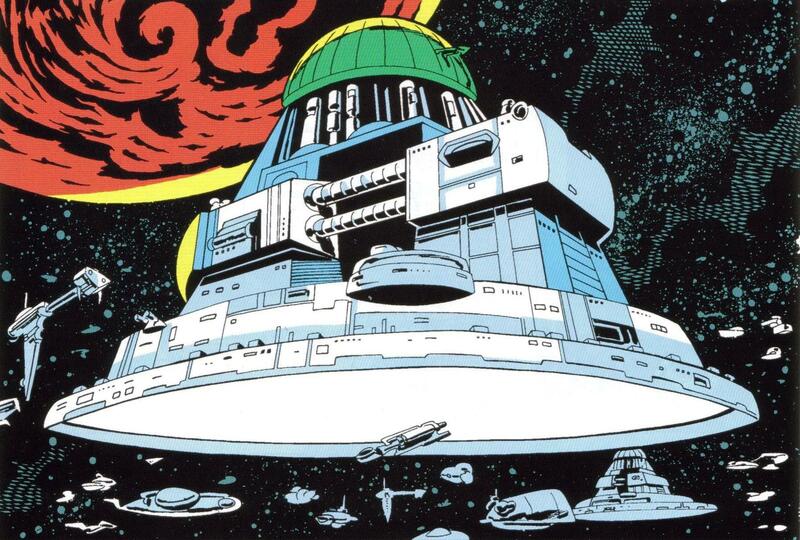 They are also launched from Ha'taks when rival ships do battle with each other in space. -Needle Threader: A Needle Threader is a specialized death glider constructed by the Goa'uld that can travel through the in a similar maner to Ancient puddle jumpers but unlike them provides no automatic navigation through stargates, and was discontinued after it proved too difficult to master. In the novelization of the film by Roland Emmerich and Dean Devlin, the vehicles are called udajeets. In the film itself, they are equipped with open cockpits and can only be used within an atmosphere. Thanks for the input, Jyral! The stuff for Stargate is something on my list of things to go back and rework (I had sent them in originally, myeh). I'll get to it in time. Several write ups I gave speeds to fit into star wars rpg just for balance issues and lack of info at the time. Just a comment. But 2665 mph is crazily faster than anything else in the Star Wars rules, especially since they all measure speed in kph. Sometimes you've just got to make sacrifices to the source material to fit within the rules. I think why so many sites have the death glider wrong is Apophis had a Larger death glider in Children of the Gods show pilot- it even had a ring transporter (this was later changed to a cargo ship in the remake). 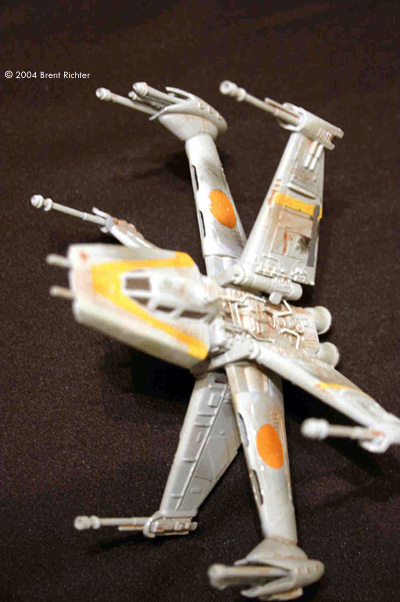 Ra's gliders from the move are also a bit larger and shot more powerful blasts. From the SG1 glider bay sketch from the producers/propworx http://archive.propworx.com/1010/516 and the scene where Col Mitchell is shooting at a glider above a DHD http://stargate.wikia.com/wiki/File:Death_glider_2.jpg, and comparison to the needle threader. Gliders are small, ~11 meters wide is what I calculate.